Preview: 2 of the greatest offenses the NFL has ever seen will do battle on Saturday night. If you like lots of points and lots of passing, then you’re going to love the Saints vs the Lions. Saints QB Drew Brees broke the NFL record for passing yards this season with 5476. Matthew Stafford of the Lions wasn’t too far behind as he threw for 5038, the fourth highest output in NFL history. Both defenses were in the bottom-third of the league for stopping the pass, so it looks like Stafford and Brees will have free range to throw the ball in this game. With weapons like Calvin Johnson (1681 yards, 16 touchdowns) and Jimmy Graham (1310 yards, 11 touchdowns) to throw to, it kind of makes their running games obsolete. 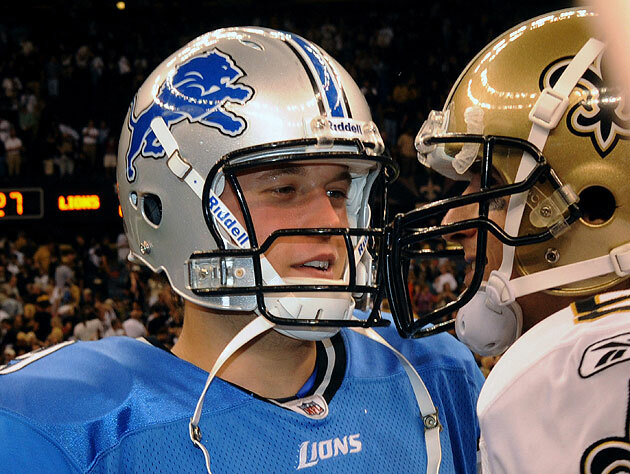 This will be the second time this year that the Saints and Lions have squared off. During week 13 of the regular season, the Saints defeated the Lions 31-17. Matthew Stafford threw for 408 yards, but only scored 1 touchdown. Brees finished with 342 yards, 3 touchdowns and no interceptions. If you want any sort of hint as to how this wild card game will play out, just look at their week 13 match-up. Fun Fact: RB Darren Sproles of the New Orleans Saints set an NFL record this season for all-purpose yards with 2696. He is the first player in NFL history to have 1300 yards from scrimmage and 1300 yards from kickoff and punt returns. Big Question: Will either the Saints or Lions defense step up and be a factor in this game? Preview: It may have taken until the final game of the regular season to clinch a berth, but the New York Giants are back in the playoffs for the first time since 2009. They will now face an Atlanta Falcons team that just posted its fourth consecutive winning season and its third playoff appearance in the last four years. Atlanta’s offense possesses arguably the best running back (Michael Turner: 1340 yards, 11 touchdowns) and wide receiver (Roddy White: 100 catches – best in the NFC) in the entire conference. Matt Ryan is coming off a season in which he set the franchise record for most passing yards with 4177. The trio of Turner, White and Ryan combined to lead the Falcons to the tenth-best offensive attack in the NFL. Eli Manning had the best statistical season of his career finishing just shy of 5000 yards with 4933, as well as throwing for 29 touchdown passes. The once dominant Giants running game finished dead-last in the league, with neither Brandon Jacobs or Ahmad Bradshaw rushing for more than 700 yards or 4 yards a carry. The wide receiver tandem of Victor Cruz and Hakeem Nicks combined for 2728 yards and 16 touchdowns, which is even more impressive considering both players missed games this year. Fun Fact: Eli Manning set a NFL record this season with 15 fourth-quarter touchdown passes. The previous record was held by his older brother Peyton Manning. 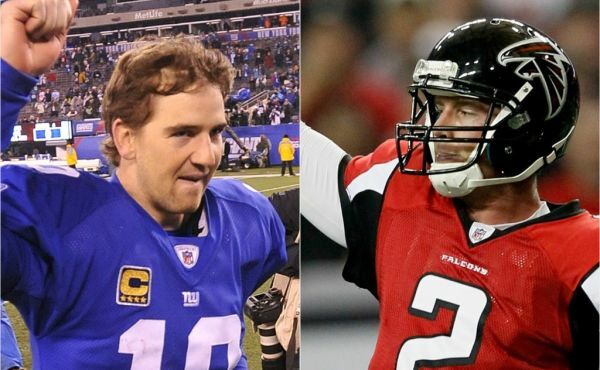 Big Question: Which Eli Manning (the leader or the turnover king) will show up on Sunday? This entry was posted in NFL and tagged Atlanta Falcons, Calvin Johnson, Darren Sproles, Detroit Lions, Drew Brees, Eli Manning, Hakeem Nicks, Jimmy Graham, Matt Ryan, Matthew Stafford, Michael Turner, New Orleans Saints, New York Giants, NFC Wild Card, NFL, NFL Playoffs, Roddy White, Victor Cruz. Bookmark the permalink.